The Ranking list is supposed to be the top 35 riders in the USA.. I think because of how they do the points you have more then the 35 because of maybe duplicate points. They calculate those points off of two rides, most riders need at least two 100 mile rides to have any chance of getting onto the list. 100 mile ride points count for 100%, 75 mile rides 75% and 50 mile rides 50%. So, even if you have a win at 50 miles or a 2nd at 75 miles like we do, just a finish at the 100 mile distance will give you more points.... It is much more complicated then that, but you get the drift. Lindsay made the list on our two top rides of a 75 mile ride and a 100 mile ride. So, Lindsay Graham, is on the list in 22nd position. They say it makes no difference as to where you are on the list, once you are on the list your are on the list. We have one more ride to do in January, so her position may change some. What this does is give us a INVITE to compete in one of three selection rides that are held across the country in June of 2010. Western USA will probably be held in Colorado. After the three rides are completed the selectors will select the horses that they want to go back to an area somewhere around Kentucky for the final selection. This is about 6 weeks before the WEG... We don't know how many horses will go back, but we are guessing at about 20.. All but 6 of those horses will have the long drive home. Our current game plan is to have MONK in tip top condition for the June selection and then fine tune him a little for the final selection with a peak for the games. I have every confidence that we will make it to the final selection, where we will see if he is as good as we think he is. Proof is in the pudding and if he is not chosen we will go home with our heads held high. Endurance and show Arabians compete simultaneously in Oklahoma this week. endurance vet checkFor the first time ever, the Arabian Horse Association (AHA) has combined the Arabian National Endurance Ride and National Competitive Trail Ride into one week of exciting competition, October 27-31 at Lake Carl Blackwell in Stillwater, Oklahoma. 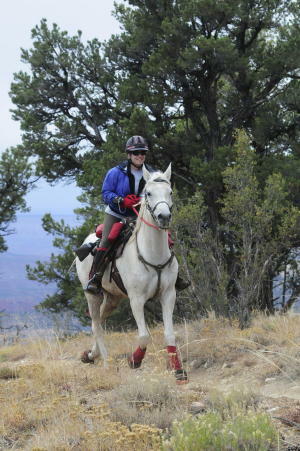 Both National Endurance rides are American Endurance Ride Conference (AERC) Sanctioned. An open AERC ride will follow the championships. Competition began Tuesday with the 100-mile and 50-mile endurance races. The National Competitive Trail Ride runs Wednesday and Thursday. Winners will be given a special awards presentation during the final evening of U.S. Arabian Nationals in nearby Tulsa on Saturday, October 31. To qualify for the AHA Championship Competitive Trail Ride, horses must have completed 100 miles of AHA recognized CTR, placed in the top five at a recognized regional CTR, or placed in the top ten at a national CTR. The National Championship Endurance Ride includes a 50-mile and 100-mile ride. To qualify for the 50 mile, horses must have completed 200 lifetime miles of 50 mile or longer recognized endurance races. Qualifiers for the 100 mile must have completed 300 lifetime miles. 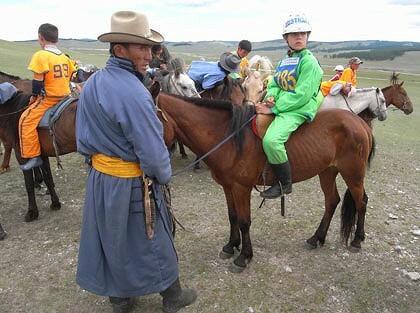 In endurance competition, completion of a race means that not only must the horse and rider complete the entire route, but the horse must be pronounced fit to continue by an attending veterinarian. The dates of the National Endurance rides coincide with that of the U.S. Nationals in Tulsa, Oklahoma, about an hour and half away, giving horse lovers in Oklahoma plenty to see. Arabians, Half-Arabians and Anglo-Arabians, known for their versatility and athleticism will be on display at the Distance Nationals and U.S. Nationals for the public to enjoy everything from the grueling 100 mile endurance ride to the glitz and glamour of Country English Pleasure. Race Car Driver/Eventer Liz Halliday and California Highway Patrol/Endurance Rider Kassandra DiMaggio return to give us an update on their Extreme Horsewomen lives. Listen in as we speak again with these amazing women…. ARLINGTON — Walk onto the old railroad trestle north of town and you'll see the Stillaguamish River at a dizzying distance below. Anybody brave enough to venture too far would run into a sign: "This corridor is closed to all public use." Before too long, this sign could turn into a welcome mat. Work is expected to begin today to extend the Centennial Trail, Snohomish County parks' most popular attraction, by 8 miles north from the trestle. By early next year, this path to the Skagit County line could open a window to rural landscapes, and a new portal for tourism in Arlington. "This next portion, it's just really different. It's more rural, more wild country," said Beth Hill, a horse-riding enthusiast from Marysville and the Centennial Trail Coalition's incoming chairwoman. "You're very much riding through woods and woody hillsides. It's just got a different feel to it." The first 6-mile section between Snohomish and Lake Stevens opened in 1989, Washington's centennial. Now, the trail goes from Snohomish north of Marsyville with few interruptions. The only major gap in the 17-mile run to Arlington is a mile or so where it spills onto 67th Avenue NE, a two-lane county road. A new voluntary code has been introduced by UK horse feed manufacturers and the British Equine Traders Association (BETA) to reduce the risk of naturally occurring prohibited substances (NOPS), like morphine and caffeine, getting into feed. The code was implemented on 1 October with commitment from leading manufacturers including Baileys, Blue Chip, British Horse Feeds, Dodson & Horrell, Natural Animal Feeds, Red Mills, Saracen, Spillers, TopSpec and Dengie. The companies have signed up to stringent quality management procedures in the sourcing, storage, transport and manufacturing processes of their products. Suppliers of raw materials will be regularly audited and staff will also undergo rigorous training to ensure strict adherence to the code. Cloud: Challenge of the Stallions premieres Sunday evening, October 25th, 2009 on PBS stations nationwide. This program is the next chapter in the exciting life of the charismatic stallion, Cloud, and the wild horses of the spectacular Arrowhead Mountains of Montana. This new adventure captures the twists and turns of a complex family drama in a unique wild horse wilderness. Cloud: Challenge of the Stallions is a tale of two stallions, Cloud and Shaman, who raise each other’s sons: Flint and Bolder. When the loveable colts mature into adult challengers, they battle the very stallions who raised them. Five years in the making, this unpredictable tale is both epic and intimate, tragic and joyful. Back Country Horsemen of America is the leading organization in saving public lands trails for equestrian use, but they share their passion for protecting our wildernesses with a wide variety of other organizations from coast to coast. Some of those groups promote conservation of the natural character of the land while others are more focused on a particular activity such as hiking or mountain biking. In an effort to make the public more aware of their cause and to give folks a can't-miss opportunity to get involved, many of those organizations host special events throughout the year. In order to develop and sustain valuable relationships with other trail user groups and public lands advocates, Back Country Horsemen of America seizes upon these designated days as perfect occasions to improve and maintain trails for everyone's use. As BCHA members labor alongside those from other organizations, a unique camaraderie and mutual understanding emerge, and the differences between them disappear as the lands we all care about are preserved. On May 2, the Hoosier National Forest held their 23rd annual Take Pride in America Day. Located in the hills of south central Indiana, the Hoosier National Forest encompasses 200,000 acres of rolling hills, back country trails, and rural crossroad communities, along with some rare ecosystems. Take Pride in America Day is a special time set aside to encourage volunteerism and enjoyment of our nation's public lands. Hoosier Back Country Horsemen of Indiana couldn't resist the chance to get involved with caring for a national forest. HBCH covered 36 miles of trails in the Charles C. Deam Wilderness on foot, de-berming and cleaning water bars. They also picked up trash on the trails and around the campground. In all, 151 water bars were maintained in Hoosier National Forest and 37 cubic yards of trash were removed. 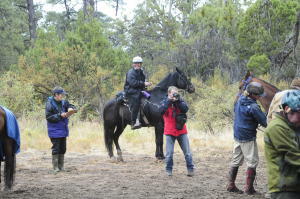 In the true spirit of Back Country Horsemen of America, HBCH worked alongside other trail users, such as hikers, Boy Scout Troops, and school groups. They were some of over 200 volunteers that took part in various work projects, making it possible to accomplish more than had been planned for Take Pride in America Day. The Deam Wilderness in Hoosier National Forest is one example of the need for horses and mules in maintaining back country trails. 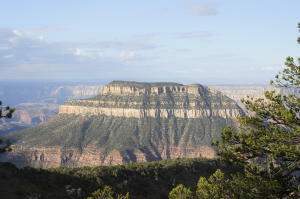 Since its designation as a wilderness in 1982, visitor use in the area increased to a point that significant damage was occurring. 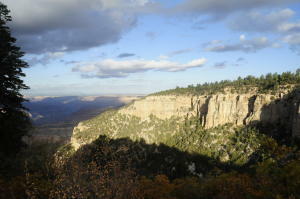 Regulations were put in place to protect these 13,000 acres from the impact of people. Because those regulations prohibit the use of wheeled vehicles (including non-motorized carts and wagons), pack stock is the only way to bring in the gravel, tools, and other materials that are needed to maintain the trails and campgrounds. Horses and mules are also used as a replacement for mechanical equipment, such as tractors. A Vulcan hillside plow, a traditional horse- or mule-drawn agricultural implement for plowing on steep ground, is used to dig trail corridors before the trails are graded to a smooth surface. Without this natural "horsepower," the Deam Wilderness would be subjected to excessive damage from wheeled vehicles or would have to be allowed to deteriorate. The American Hiking Society, a fellow organization in the pursuit of preserving wild lands, held their National Trails Day on June 6. An annual event since 1993, NTD is a time to inspire people nationwide to discover, learn about, and celebrate trails while participating in educational exhibits, trail dedications, gear demonstrations, instructional workshops, and trail work projects. Of course, Back Country Horsemen of America members see it as the perfect opportunity to put their hands to the worthwhile effort of caring for our wilderness trails. Bob Gish, President of Back Country Horsemen of Washington, encouraged local BCHW chapters to organize NTD projects in their area and urged the formation of partnerships with public land management agencies. Ten BCHW chapters responded by getting involved with various projects throughout Washington State: Lewis County, Pierce County, Ferry County, Scatter Creek Riders, Inland Empire, Buckhorn Range, Oakland Bay, Okanogan Valley, Grays Harbor, and Northeast chapters. The Lewis County Chapter of Back Country Horsemen of Washington celebrated National Trails Day by organizing a work party to clear two Packwood Lake trails in the Gifford Pinchot National Forest. The popular trails lead to the pristine Goat Rocks Wilderness and are usually cleared before Memorial Day weekend. This year, however, winter snow accumulation and a late spring snowmelt kept the two trails into Packwood Lake covered until after the end of May. The Southern Appalachian Back Country Horsemen of Tennessee also participated in a National Trails Day project last year. SABCH volunteers put in 86 hours of work constructing a bridge over a segment of the Bullet Creek Trail on Starr Mountain in the Cherokee National Forest. The bridge was needed for control of natural and man-made resource damage to the banks at the creek crossing. This is a multi-use trail with horseback riding and hiking use. The project was submitted to the American Quarter Horse Association for their 2008 National Stewardship Award. The SABCH group was awarded one of ten regional prizes of $1,000 for the completion of this project. SABCH has been and is currently involved in a number of trail building projects in the south portion of the Cherokee National Forest, and donated over 1300 volunteer hours in 2008. In the last three years, they have built 41 additional miles of trail and flagged an additional 33 miles for projected clearing in portions of the Cherokee National Forest. LOS ANGELES (AP) — There's an Arabian horse in Idaho who may go as Mickey Mouse and a black cat in Minnesota who will turn into a skunk or a witch, but the majority of pets in America will be bare this Halloween. Stephanie Bennett, who lives in Meridian, Idaho, and her horse Arija are going on a "Hallowed Weenies" trek, an annual two-day endurance ride of 25 to 50 miles where both dress up. In past years, the trip has attracted a pumpkin and a patch, Lady Godiva and her steed and the grim reaper on horseback. Bennett was still deciding on her own costume but leaning toward Minnie Mouse for herself and mouse ears for Arija. Superheroes like Batman and Superman are popular, she said, but "capes are an interesting thing on a horse. They can spook at things like that so you have to be careful." p.s. look here for this year's Idaho horse ride costumes! 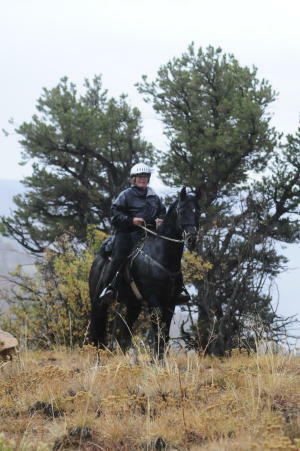 Kevin Waters and Tahoe's Thunder won first place and Best Condition at the Virgin Rim ride when they crossed the finish line in Nevada on September 20. Kevin also reached the noteworthy 20,000 AERC career mile marker. Originally from Chicago, Kevin is not really sure why he started in endurance - or what keeps him in it. "You do get to see a lot of country," he said in his characteristically ironic way. 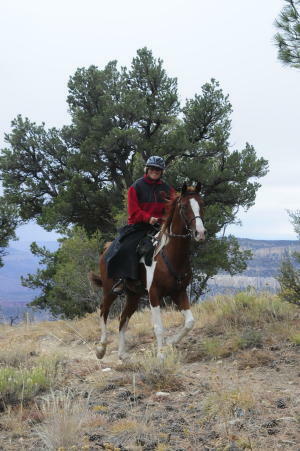 He started riding horses when he was three and took on his first endurance ride at the Black Hills ride in South Dakota. When he crossed the 10,000 mile mark, he was sure he would quit riding endurance. Now that he's doubled that mileage achievement he says he hopes he won’t make it to 30,000 miles. We'll just have to see about that. Kevin has been using Easyboots regularly for more than 20 years now - mostly the Original Easyboot, and mostly over shoes when the trail dictated it. In some years he was able to get as many as 1,000 miles out of a single Easyboot. In 2002 alone, Kevin accumulated more than 2,000 miles. In that same year he rode all five days on the same horse at each of the New Mexico Renegade; Fort Stanton Pioneer; Outlaw Trail and Owyhee Canyonlands Pioneer rides. He did it all in Easyboots and managed to take home five BC awards in the process. 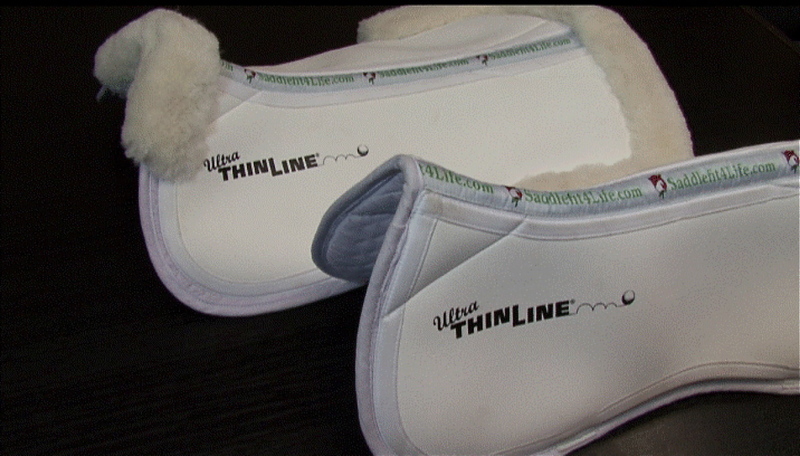 Durham, NC (October 8, 2009) - ThinLine Inc and Saddlefit4Life® have joined forces to create a new saddle pad designed to extend the fit of custom fitted saddles as horses mature and develop. The Segue saddle pad combines the revolutionary ThinLine technology and the latest in saddle fit innovations from Saddlefit4Life®. The Segue pad is designed as a solution for horses with recent muscle development that can affect the fit of the saddle and for riders looking for more impact absorption. Saddlefit4Life® and ThinLine designed this new pad to segue from either a not so recent saddle fit session or to protect a new horse until the saddle fitter can arrive. It is a temporary solution to offer immediate comfort for both horse and rider. The Segue pad is comprised of an Ultra ThinLine attached to a cotton half pad with pockets for placing inserts that are available in several sizes and thicknesses. Industry experts call this process ‘shimming’: creating a temporary fit until new saddles can be delivered or while horses are busy changing shape during training and growth. The Segue offers an exclusive shimming system designed by Saddlefit4Life®. Special custom ThinLine shim thicknesses and sizing are available only with the Segue Saddlefit4Life® pad. The Segue pad is available now from Saddlefit4Life® representatives in North America, Europe and Australia as well as online at www.ThinLineinc.com and in many tack stores nationwide. For more information about the Segue pad, visit www.ThinLineinc.com. Photo: The Segue saddle pad from ThinLine and Saddlefit4Life® offers users shock absorption and a temporary solution for equine changes to custom saddle fit. (Photo courtesy of ThinLine, Inc). Q: What happens when you get together a local jockey, Olympic pentathlete, farrier, equine vet, horse showman and trainer, dressage champion, pony club president, polo player, Olympic show jumper, natural horseman, endurance rider and stockman, and their horses, and ask them to smile for the camera? Developed by Sarah Hillhouse and Alison Clift of Horselife Publishing, the Horselife 2010 Calendar has been designed to celebrate the strong horsey community on the Sunshine Coast, and to raise funds for Sunshine Coast Riding for the Disabled. "The calendar is destined to grace the walls of horselovers across the coast," says Sarah. "It's also guaranteed to appeal to those who appreciate fine looking horses and horsemen!" Sarah says the motivation behind Horselife Publishing was to investigate and raise the profiles of the various riding clubs, riding disciplines and talented horsepeople in our area. "The photoshoots for the 2010 calendar were sensational," she says. "To witness the unique connections between man and horse was an absolute privilege, and it is that connection that shines through in the shots we’ve selected for this year’s calendar." Photographer for the Horselife calendar Andrew Lindsay is a specialist equine photographer based in Kenilworth. Andrew's lifelong involvement in the horse industries, along with his passion and experience in photography, has led him to establish Agile Photographics. His work regularly appears in national equine publications. "Shooting the calendar was nothing short of a dream assignment for me," says Andrew. "It's been a heck of a lot of fun, and a great chance to connect with a wide range of top notch horsepeople across the Sunshine Coast". President of Sunshine Coast Riding for the Disabled Matty Sormani has expressed her thanks to the Horselife team. "We need as much support as we can get to secure a permanent premises on the Coast. Horselife's generous assistance is making us the 2010 beneficiary from calendar fundraising is really exciting and will help us to continue our work in enabling people of all abilities to connect with horses. "In purchasing a calendar, not only do you get to help Riding For The Disabled, but you also get to swoon over hunky horsemen for a whole year!," says Matty. The calendars are available across the coast from horse loving retailers, your riding club or online via www.horselifepublishing.com. RRP is $25 (Inc GST). At least $5 from every calendar supports Sunshine Coast Riding for the Disabled.